The Global Greens will be actively engaged at the COP21 climate conference in Paris from Monday 30 November to Saturday 12 December 2015. Here you will find links to useful information for Greens in Paris and round the world. Climate action time - will you help? Join a people’s climate march near you this weekend - or organise your own! The global climate march planned for Paris on 29 November has been prohibited because of the security threat so it’s more important than ever for you to be counted wherever you are in the world. Make a donation to support the Global Greens climate team in Paris working to connect Greens with each other and keep everyone informed about what's happening. If you will be in Paris for COP21, register to meet up with other Greens. Starting with our first ever global webinar on Monday 9 November, Greens will be leading or taking part in events to say that action on climate change is non-negotiable. Whatever the outcome in Paris, this is just the beginning. Join an action near you and make your voice heard before, during and most importantly after the Paris COP21 climate conference. Sign up to receive communications from the Global Greens COP21 campaign team. The 'anthropocene' hypothesis argues that human and natural history intersect and envisions humanity as a natural force. But what does the unity of humanity signify when we observe that the role on the human populations who inhabit the world in the global change is unequal, and the burdens will also be different? Speakers will include Dominique Bourg (Philosopher and professor at Université de Lausanne), Dale Jamieson (expert on environmental ethics and an analyst of climate change discourse at New York University) and Bruno Latour (environmental sociologist). The event takes place in French. For more information, see the website of the event. This one-day conference aims to prepare the climate change activities and campaigns that will take place in Paris around the COP 21. Participants will get the chance to be part of this planning and brief the team who will be present on the spot in Paris, at one of the most important watershed moments in human history and the opportunity to try and tame the runaway climate change which we have unwittingly unleashed. Come and have your say and influence world events. Webinar: Global Greens Paris COP21 Webinar. Register. For the first time the Global Greens are organising a global webinar where Greens can come together and discuss what we are doing to tackle climate change. The event Climate Forum, which takes place at Istanbul’s Boğaziçi University on 12-13 November, with a wide range of discussions and speakers. On the first day of the programme, Green Thought Association and the Green European Foundation (GEF) organise a discussion on policies linked to the transition away from fossil fuels. The discussion will be held in Turkish and English with simultaenous translation. European Green Party Council’s 23rd Autumn Council meeting, taking place in Lyon, France. Discussion topics include the Greens’ Climate Change Campaign, the current refugee crisis, the Eurozone being shaken by the Greek crisis, and the Circular Economy. A Global Greens Session, “Global Perspectives on Migration’’, will be held on Friday 13th from 18:30 to 20:00, and led by Mohamed Awad, the President of the Egyptian Green Party. Here’s the programme. General Assembly of the Federation of the Green Parties of the Americas (FPVA) will be held in the Dominican Republic, 13-17 November. See the program here. and artists from the Maskbook project. Advance Registration is imperative. Register here. Through this seminar, parallel to the UNFCCC COP21 in Paris, we aim to raise the awareness of young greens on the importance of the upcoming Climate talks and on why Civil society mobilisation is much needed, at times when governments and elected leaders don’t seem to pin Climate action on their to-do-list. The seminar will be focused on informing young people about the UNFCCC processes and give the participants the opportunity to be active in the civil society movements and mobilisations in Paris, along with opportunities to participate to the Conference of Youth (COY 11), different events of the Greens – EFA group, Jeunes Ecologistes Federal Forum, and the World People’s March on the 29th. In addition, workshops and trainings on energy and climate campaigning will be held, along with non-violent direct action and legal frame workshops to prepare participants and their organisations for the following two weeks of civil society mobilisation. Register here. View Programme here. Discussion topics include: possible outcomes and what next after the COP21. A meeting place for Greens for information, networking and wifi. Location:63 Quai de la Seine, Paris 75019. Activities include: possible exhibition of artists on Climate and/or boards listing activities in Paris during the week-end and the COP21 From 2:00-6:00, Members of the Federation of Young European Greens will be there to meet and discuss about COP21. The French Greens EELV will present the virtual tool, "Stand up for Climate" The evening will be dedicated to a coference Jeunes Ecolos and FYIEG "Youth and climate"
People’s Climate March in cities globally. Get information specifically about the Greens gathering in the march by signing up here. Global Greens networking event: Spokespeople for each GG party update on what’s happening in their country and their government’s & party's political position. The place and time will be confirmed as soon as an appropriate venue is found. Sign up to receive notifications of programme updates. Action Research on the role of Greens in the climate negotiations: The Global Greens COP21 team will conduct interviews and research to identify who are the Green actors at COP21, what are distinctly Green political positions on key climate issues at COP, and how are Greens contributing to the global climate movement for solutions. This is a collaborative project with members of the Greens' Individual Supporters Network. Green Parties will review COP21's current outcomes from local and global perspectives and develop a Global Greens climate change policy priorities and strategy for COP22 and beyond. The meeting is moved forward to Friday to enable Greens from all regions of the world to participate! All Greens currently in Paris are welcome, from grassroots activists to MPs and COP21 negotiators. Civil society convergence “Village Mondiale des Alternatives” organised by Alternativa. Alternatiba’s Global Village of Alternatives. Alternatiba, a citizen movement for climate and social justice, invites you to walk the streets and places of its Global Village of Alternatives, to discover practical alternative lifestyles and actions from all over the world that allow to tackle the climate change challenge and build a more equal and fairer world. It will be composed of 11 theme areas : Ecohousing, Food and Agriculture, Education, Climate and Energy, Mobilities, Rights, solidarity and migration, etc... In each area of the village, NGOs, cooperatives or local communities will organize stalls, exhibitions and workshops to present and discuss practical alternatives contributing to solve the climate crisis. 7:00 - Watch with the French Greens (EELV) as the results of the French regional elections come in! 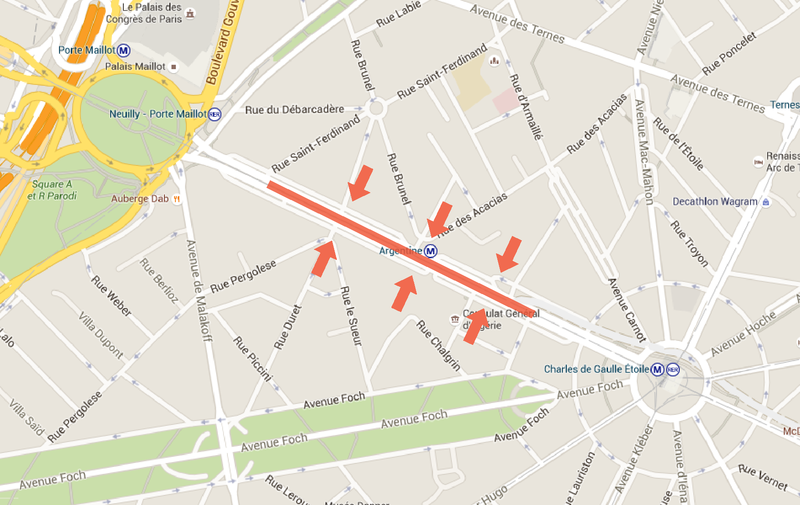 Location: 6 bis rue Chaudron (metro: “Stalingrad” and “Louis Blanc”). Belong Forum side event - "China's climate change global game changer: lessons for the rest?" Registration: open to accredited participants only. CHINA’S CLIMATE CHANGE GLOBAL GAME CHANGER: LESSONS FOR THE REST? China's leadership is now shifting from hyper growth at the environment's expense, to a new paradigm of growth built on renewable and efficient energy and water conservation systems. “Toward Constructing Ecological Civilization" is the policy game changer adopted by Central Committee of the Communist Party and State Council on April 25th 2015. It juxtaposes China’s newfound values of conservation against values of overconsumption, attempting to position the “China Dream” on an environmentally sound moral ground. With this arises a new global consensus of environmental economics. In a critical election year, can America catch up? At Noon, after a loud signal given by foghorn, we will converge into the Avenue de la Grande Armée. Follow the red umbrellas and arrows that will guide you. In the street, we will hand out thousands of red tulips, unfold our enormous banners, and spread out into a long 'red line'. At the second sound of fog horns, we will take a 2 minute moment of silence, which will end with the sound of brass bands, and we will lay our flowers along the centre of the Avenue as our memorial to the victims of climate change. There is still key information we want to be able to distribute to everyone coming to the action. Please sign up for SMS updates, or text JOIN to +33 6 44 63 07 76. Note: The Final D12 briefings will take place at 1pm and 3pm at the Zone Action Climat in English. French briefing will be at 1pm in at Salle Croizat, Bourse du Travail, Rue du Chateau D'eau (métro République). 2:00pm - Massive, Peaceful and Resolute Gathering. Location: Eiffel Tower - on the "Champ-de-mars" grass. We are going to form large human chains and carry climate emergency and call to action messages to the people of the world. We will demonstrate with discovered faces, to stress the strictly non violent nature of our action. Let’s meet on Saturday under the Eiffel Tower to declare the state of climate emergency!